This week on Low Carb Conversations with Leah Williamson NTP and Guests, Leah is joined by certified whole-food nutritionist, health blogger, published author, and a prominent thought leader in ketogenic and paleolithic diet and lifestyle practices Vivica Menegaz from The Nourished Caveman. This week Leah and Vivica review the latest studies out on the differences between women and men on a ketogenic diet, as well as can a cheat day really harm your health? They discuss whether you can go to jail because of cauliflower rice and will America run out of avocados? Tune in to find out more. Special Offers from Vivica for podcast listeners - Click here for a free report on what lab tests Vivica recommends and a special offer to work with her. Or maybe they're just protecting the Arkansas rice industry. This week on Low Carb Conversations with Leah Williamson NTP and Guests, Leah is joined by Erika Burt and Danielle Coonerty from popular Keto/Low Carb Blog - Have Butter will Travel. This week on the podcast Leah, Danielle and Erika recap the fun of Low Carb Denver. Low Carb Denver had an amazing line up of all our favorites in the Low Carb/ Keto world. Listen in as they chat about the talks and about travelling. Is travelling hard to do and remain healthy? How do you navigate healthy choices eating in another country? Are health conferences really healthy for you? Tune in to find out. Find the Videos from Low Carb Denver here. Check out Have Butter will Travel You Tube here. Leah and all the fun people she met! This week on Low Carb Conversations with Leah Williamson NTP and Guests, Leah is joined by Medical Doctor and Co founder of Hope for Health, Kama Trudgen. This week on the podcast Leah and Kama discuss the upcoming "Together Retreat"
TOGETHER Retreats are a partnership between Why Warriors Org (who administer the Hope for Health project) and Helen Padarin. Why Warriors brings over 40 years of wisdom and experience in Arnhem Land, specialising in building capacity across cultures. Helen Padarin brings the skills of a world-class nutritionist, naturopath, author to the retreat facilitation experience. This incredibly unique journey will begin with a 2 month engaging online preparatory course to resource and equip you with cross cultural, personal development and nutrition knowledge and skills culminating in a 2 week retreat intensive in tropical Darwin. Your participation in TOGETHER Retreat sponsors a Yolngu person to journey with you. A journey which is literally life saving for the oldest living culture on earth, who are currently battling an epidemic of preventable chronic disease. 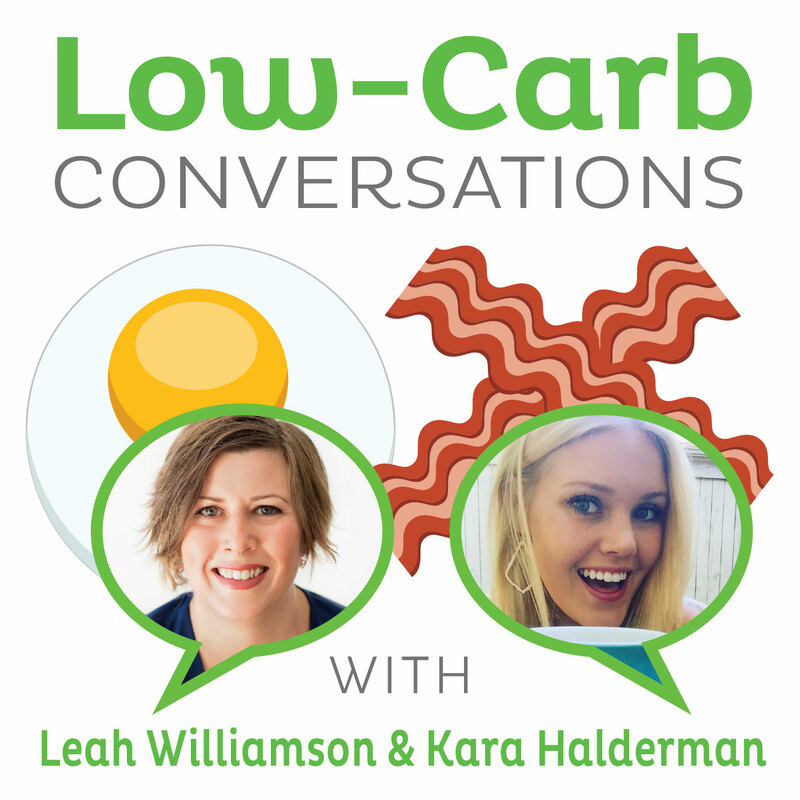 This week on Low Carb Conversations with Leah Williamson NTP and Guests, Leah is joined by Co-Host and guest Marty Kendall. This week’s episode is focused on the results from the Nutrient Optimiser. Marty discusses with Leah the amazing results of the participants. Focus was on high satiety and nutrient dense foods, with carb intake dialed in for people managing diabetes. Average weight loss was 5.1% or 0.75% per week. Range of weight loss from zero. People who were in the prize pool lost twice as much weight. Seems motivation and commitment are a big factor! The next challenge starts 22 April with a three week bootcamp to give you the skills followed by a competition, including the prize pool. Sign up now. This week on Low Carb Conversations with Leah Williamson NTP and Guests, Leah is joined by Co-Host Shelley Gawith and Chiropractor, Acupuncturist, Functional medicine doctor and host of the Podcast The Guy Show, Dr Jerry Bailey. This week's episode is focused on men's health. Leah and Shelley chat with Dr Jerry on how to engage men to care more about their health and some of the common health complaints men attract. Dr Jerry discusses men's health whilst keeping a sense of humor. Tune in to find out what he says. This week on Low Carb Conversations with Leah Williamson NTP and Guests, Leah is joined by Nutritional Therapist, Strength Coach, Podcaster and Author, Stephanie Gaudreau. On the podcast Leah and Steph discuss Steph's health journey and which lead her to develop her four core pillars. They then discuss how women are portrayed in sports and social media. And how medical promotions are emerging - are these good or bad? Tune in to find out. 309: Angie Alt discusses Autoimmunity and Weight, Keto, Carnivore and Celery Juice. This week on Low Carb Conversations with Leah Williamson NTP and Guests, Leah is joined by Co-Host Shelley Gawith and Certified Health Coach, Nutritional Therapy Consultant and co-founder of Autoimmune Wellness - serving the worldwide community of autoimmune sufferers Angie Alt. This week on the podcast Leah, Shelley and Angie discuss the upcoming Nutritional Therapy Association Conference - Roots. Followed by a discussion on weight and Autoimmunity, is Carnivore really the solution to Autoimmunity, what's the go with celery juice and should you do Keto with an autoimmune condition? Tune in to hear what Leah, Shelley and Angie think. The Nutritional Therapy Association will hold its 12th Annual Conference, Roots, March 1-3, 2019 in Portland, Oregon. This year’s conference brings together experts from across diverse fields to take a deep dive into the root causes of systemic health problems, investigate how we can grow strong roots in our food delivery system, and provide an opportunity for you to grow roots in the NTA tribe. This week on Low Carb Conversations with Leah Williamson NTP and Guests, Leah is joined by Co-Host Shelley Gawith and Certified Health Coach, Nutritional Therapy Consultant and co-founder of Autoimmune Wellness – serving the worldwide community of autoimmune sufferers Angie Alt. This week on the podcast Leah, Shelley and Angie discuss the upcoming Nutritional Therapy Association Conference – Roots. Followed by a discussion on weight and Autoimmunity, is Carnivore really the solution to Autoimmunity, what’s the go with celery juice and should you do Keto with an autoimmune condition? Tune in to hear what Leah, Shelley and Angie think. 307: Australian Nutritional Therapy Practitioners discuss what we should EAT. This week on Low Carb Conversations with Leah Williamson NTP and Guests, Leah is joined by not one but four guests from the Australian Nutritional Therapy Association. This week Leah and her guests chat about their health journeys and what led them to study with the Nutritional Therapy Association. Then they discuss their thoughts on the latest EAT study and how, from a nutritional therapy perspective will people be able to implement this and whether they even should? Are their better ways to help save the planet? Tune in to hear their thoughts. Join Leah in Herndon, USA or Brisbane, Australia in February 2019 and become a Nutritional Therapy Practitioner! Last chance for enrollment!